Since I love baking so much, I thought it would be a fun idea to give everyone cookie tins for Christmas this past year. Because honestly, what is better than receiving a tin full of yummy cookies that were baked with love? The end result – a delicious buttery cookie with yummy sweet cinnamon sugar inside. They almost look too pretty to eat! Cream butter, cream cheese, and sugar in a large mixing bowl until light and fluffy. Add in egg and vanilla; beat until combined. Sift in flour and baking powder. Mix just until combined, being careful not to overmix. Dump dough onto counter and knead 2 or 3 times just to incorporate any leftover flour. Divide into 2 discs and wrap in plastic wrap. Refrigerate for about an hour. To make cinnamon mixture, combine sugar and cinnamon. Melt butter; set aside. Working with one disc of dough at a time, roll out into a 12 x 8 inch rectangle on a floured surface. 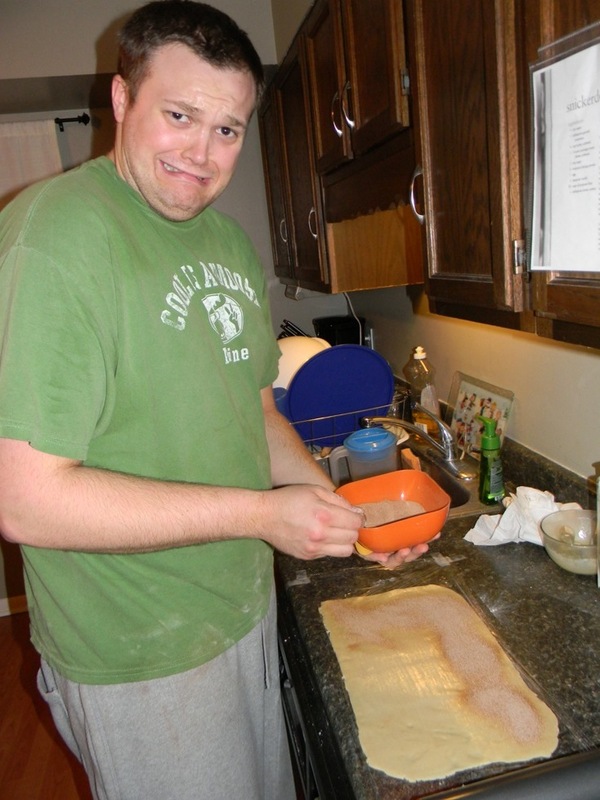 Brush dough with half of the melted butter. Sprinkle with half of the cinnamon mixture. Starting from one of the short sides, roll into a tight log. Wrap in plastic wrap. Repeat with other disc. Refrigerate for at least 4 hours. 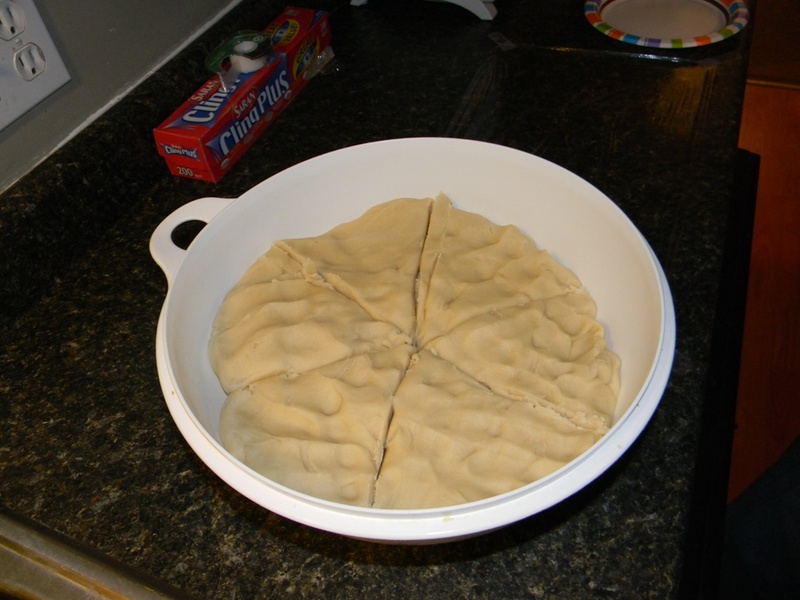 Use a sharp knife to cut dough into 1/4-inch rounds; place on ungreased baking sheet. 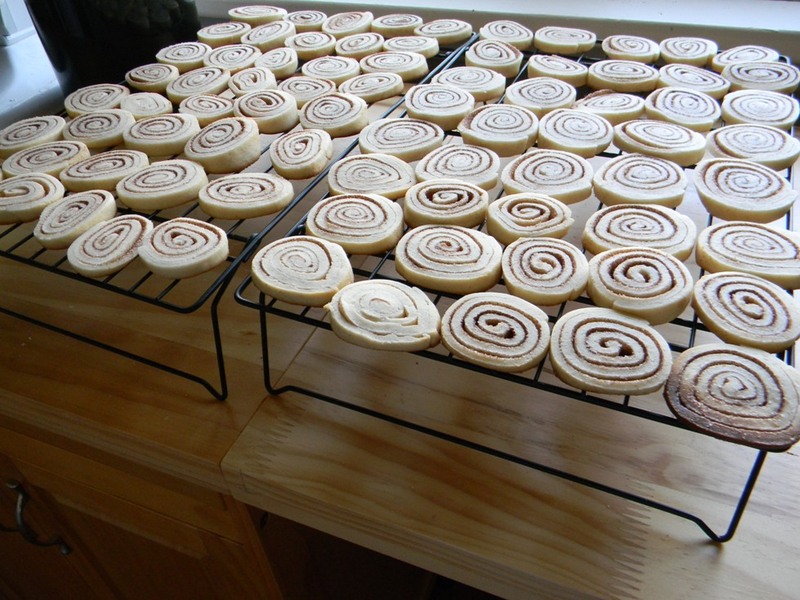 Bake for 8 to 10 minutes or until edges are just slightly golden. Cool on wire rack. These freeze easily which worked perfectly for me because I like to be prepared and organized ahead of time, so I was able to make and bake these in early December and then assemble the tins closer to Christmas time. Would I make these again? In a heartbeat. Would I make so many of them again? No, definitely not, and I would probably not include them in cookie tins again. 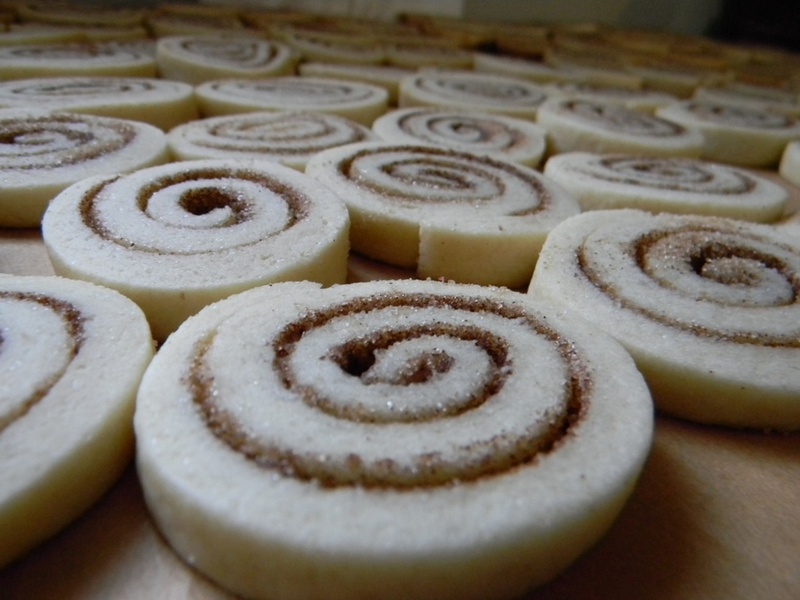 They are amazing and taste and look great and the dough is not difficult to make, but they are somewhat labor intensive when it comes to rolling it out into a rectangle, and then rolling it super tight to ensure you get that perfect pinwheel shape. ← Brownies From Scratch – Are They Worth The Trouble?